Hi, I'm Doo-Wop - Adoption Fee Paid!! 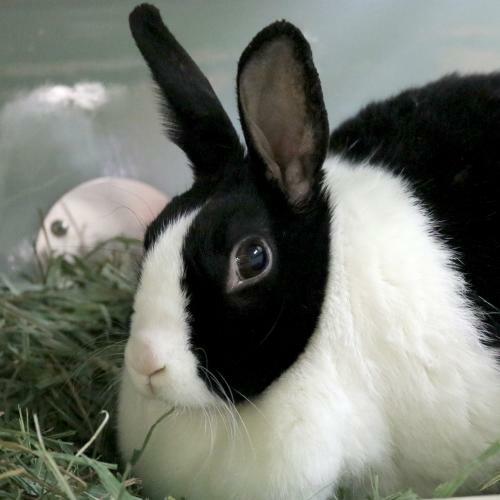 I'm an adult spayed female black and white Dutch. 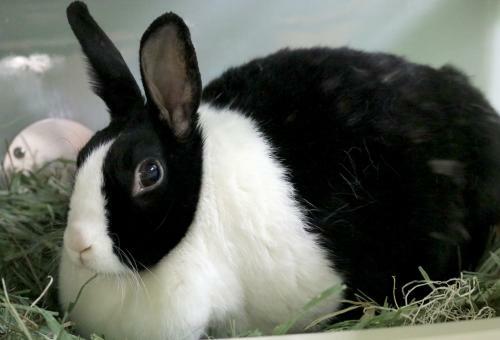 I'm a lovely Dutch rabbit in search of a loving indoor home. Rabbits make wonderful companions and are often just as affectionate as more "typical" pets like dogs and cats. Bunnies generally love to spend time with their people and definitely enjoy time outside of a cage to exercise, play, and explore. Not sure if a house rabbit is the right companion for you? Check out the Wisconsin House Rabbit Society's website for great information on living with a house bunny! Thanks to a generous sponsor my adoption fee has already been paid! My adoption fee is already paid by a generous sponsor.